This vacation home is located within a narrow lot which extends from the street to the lake shore. 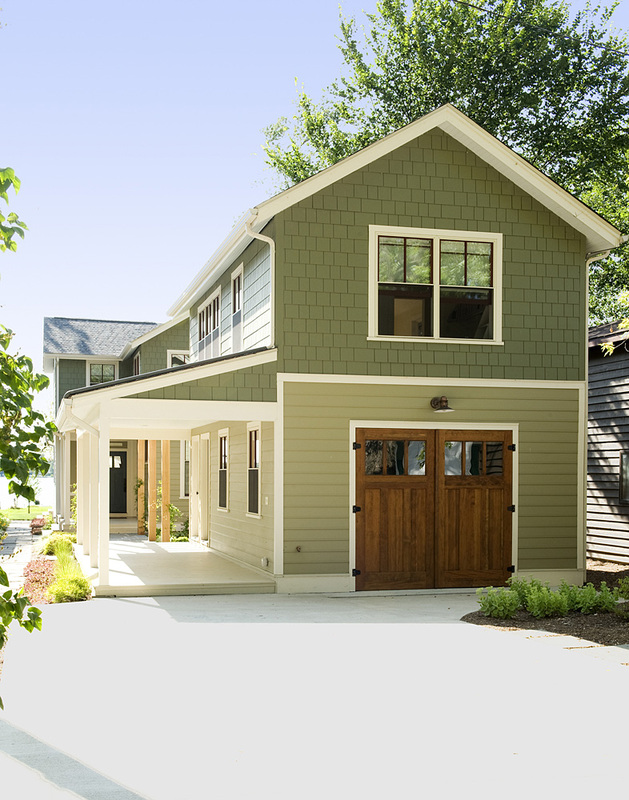 Taking advantage of the lot's depth, the design consists of a main house and an accessory building to answer the programmatic needs of a family of four. 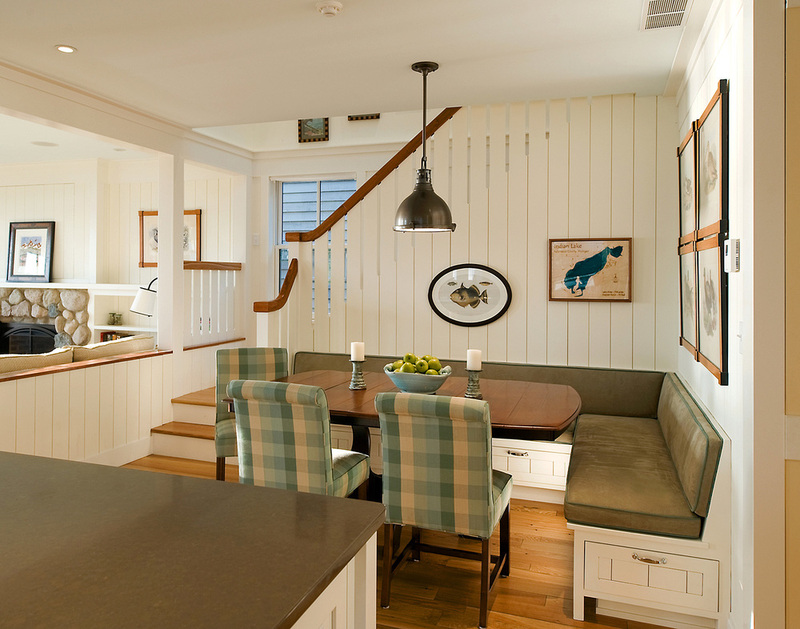 The modest, yet open and connected living spaces are oriented towards the water. 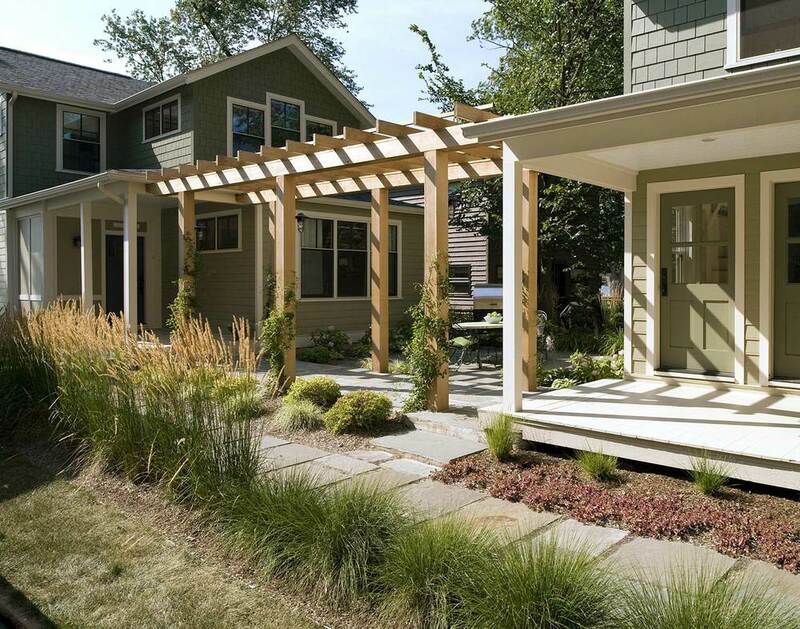 Since the main house sits towards the water, a street entry sequence is created via a covered porch and pergola. A private yard is created between the buildings, sheltered from both the street and lake. 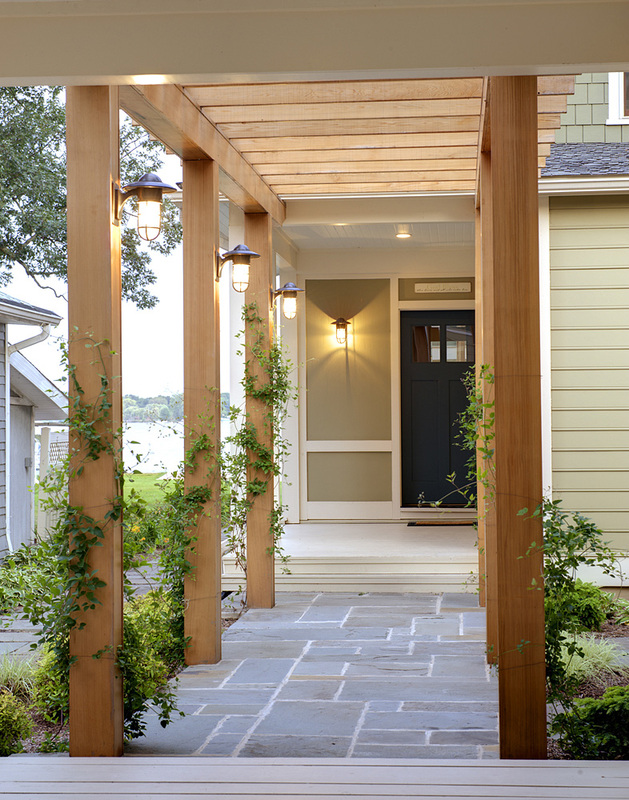 A covered lakeside porch provides shaded waterfront views.